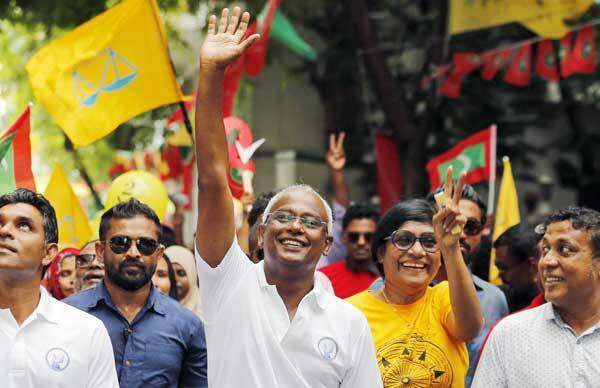 After five years of strong-armed domestically political dissent rule by a government under Abdulla Yameen, the Maldives has now put a pro-people and pro-Indian administration in power, under Ibrahim Solih of Maldivian Democratic Party (MDP), as President on November 17. He announced a slew of populist policies, and vowed to end an era of “large-scale embezzlement and corruption”. The last is an allusion to the untold millions allegedly paid to officials as kickbacks for various mega-construction projects. In his first address as the President, Solih said, “We will endeavour to fortify existing ties with India. 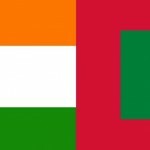 Maldives will hereupon bolster its shared role to retain enduring peace and harmony of the Indian Ocean.” India was the only country invited at the Head of State/Government level at the presidential oath-taking ceremony and PM Modi was the first foreign leader Solih met after being sworn in as President. The Solih government came to power with the backing of unlikely bedfellows coalition. The MDP, of former President Mohamed Nasheed, has joined hands with the like minded Jumhooree Party of business tycoon Qasim Ibrahim, the Islamic-based Adhaalath Party, and the support base of former President Maumoon Abdul Gayoom. The coalition can survive only if it ensures that ideological differences do not cause split at the seams, and unravel the consequences of previous President Abdulla Yameen flinging open the doors to Chinese investment, allowing a cascade of financing that caused the national debt to balloon to nearly a quarter of GDP. However, a strategic return to India and its underlying democratic values could backstop the economic pummelling that Male is going to face if creditors in Beijing start calling the shots. The new government is being cautious, but professedly firm, in unraveling this web of debt. The leadership has promised that what is owed will be paid, and not a penny more; and that wherever opacity cloaked the grant of land, lease rights, construction projects and more, the honouring of debts would be linked to whether a transparent and fair process was followed in place. Yet, there is little doubt that China is there to stay in the Maldives, and a balancing agreement will have to emerge through the plethora of commercial contracts the new government would ideally like to renegotiate. In this mission, the renewed bonhomie with India, reflected in the respect accorded to Prime Minister Narendra Modi and the Indian delegation at the inaugural ceremony, will play a crucial role. Innumerable Indians work across the hospitality, education, and health-care sectors of the Maldives economy, and India contributes from helicopters to medical visas to Maldivians. 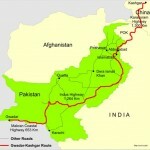 The greatest threat to stability comes less from geo-strategic denouements than from within the fabric of its polity. Certain elements that backed the anti-democratic 2012 ‘coup’ that unseated Nasheed and supported the dramatically centralised power of the previous presidency still abide within the ruling combine. There is only one option for the fledgling coalition government: to strengthen Maldivian institutions and, by extension, democracy. Immediately, after 24 hours new President Solih was sworn in, the new Defence Minister of Maldives, Mariya Didi, has said that Male won’t be returning the two Indian helicopters, which New Delhi had gifted in 2013 on Maldives’ request. One chopper is deployed in the Indian Ocean nation’s southernmost island of Addu and the other in the strategically located Lammu. Maldives’ former ambassador to India, Ahmed Mohamed had told news agency, “They were very useful in the past but with the development of adequate infrastructure, facilities and resources we are now in a position to handle medical evacuations on our own.” Yameen had junked pro India “India first policy” and increasingly aligned himself to China. The Maldives’ new government will pull out of a free trade agreement (FTA) with China because it was a mistake for the tiny nation to strike such a pact with the world’s second largest economy, the head of the largest party in the ruling alliance said. It is the latest sign of a backlash against China in the Maldives, best known for its luxury resorts on palm-fringed coral islands. “The trade imbalance between China and the Maldives is so huge that nobody would think of an FTA between such parties,” said Mohamed Nasheed, the chief of the MDP, which leads the ruling federal alliance. But China’s Foreign Ministry said in a statement that Culture and Tourism Minister Luo Shugang, President Xi Jinping’s special envoy to the inauguration, told Solih that China paid great attention to developing relations with the Maldives. The Maldives is among a number of small countries where China has invested billions of dollars building highways and housing as part of its Belt and Road Initiative (BRI). Through that initiative, Beijing hopes to improve trade and investment flows with much of Asia and parts of the rest of the world. China was willing to work with the Maldives to consolidate their traditional friendship, plan their practical cooperation and promote BRI to inject “new impetus” into their future relationship, the foreign ministry cited Luo as saying during a meeting with Maldivian president. Between January to August this year, the Maldives’ imports from China were $342 million, while its exports to China were just $265,270, according to Maldives customs data. The island nation bought meat, agricultural produce, flowers, plants, electronics and toys from China among many other items. It imported $194 million worth of goods from India, its traditional partner, during the same period, while exporting $1.8 million of products including scrap metal such as copper, aluminum and steel. 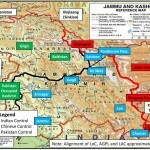 If the Maldives turns away, it would be the latest setback for China, which is facing opposition for its projects in countries stretching from Malaysia to Nepal, and even from its all-weather ally Pakistan. 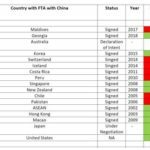 A proposed FTA has been held up in Sri Lanka over Colombo’s demand that it has the option to leave after 10 years. The new administration plans an audit of the deals signed by the Yameen administration where projects, such as airport expansion and housing contracts, given to Chinese firms will be reviewed. Interestingly, Maldives Foreign Minister, Abdulla Shahid arrival at Delhi on a four days visit on 24 November is aimed at repairing bilateral ties – imposing of restrictions on work visas for Indians and signing of new FTA with Beijing – which came under severe strain during Yameen’s regime.